Forget Hollywood. Forget the Oscars. Berlin is the place to be for film lovers this weekend with both the International Film Festival Berlin and the Berlin Independent Film Festival. You can also practice your dance moves at the Valentine Dance Festival, join a flash mob or attend Berlin’s biggest indoor track and field event this weekend. 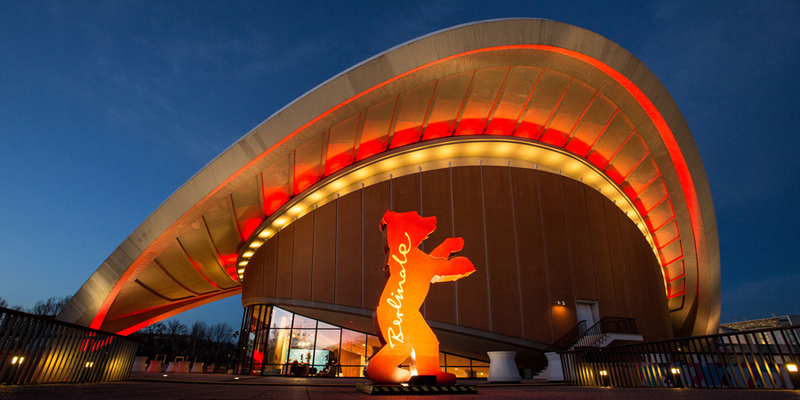 Later this month the Academy will award the Oscars for this year’s best movies, actors, directors and screenwriters in Hollywood, but before that the jury of Berlinale, Berlin’s International Film Festival, will award Golden and Silver Bears. There are literally hundreds of films you can watch over the next week with two major film festivals starting in Berlin this weekend. The film is Etienne Comar’s directorial debut and tells the story of guitarist and composer Django Reinhardt who had to flee German-occupied Paris in 1943. The 10-day film festival features 400 movies in different genres as well as panel discussions, workshops and parties. A jury led by Dutch director Paul Verhoeven will decide which films, actors and directors will receive the Golden and Silver Bears, the film festival’s awards. If you can’t make it in person, the live feed on Youtube is here. The Berlin Independent Film Festival runs at the same time as the International Film Festival in Berlin, but the two events are not connected. The Berlin Independent Film Festival offers new filmmakers a chance to show their work at the Babylon cinema in Berlin. When: 11 February, 4 p.m. Sorry to ruin the surprise, but if you happen to be wandering around Berlin’s most famous symbol, the Brandenburg Gate, this weekend you may run into an impromptu performance of John Lennon’s Imagine. Solinar, a non-profit organization aiming to help refugees and strengthen solidarity, is organizing the singing flashmob. Faced with worldwide terror attacks, wars and ever deeper divisions in society, we are often left speechless. That’s why we want to come together to sing John Lennon’s ‘Imagine’ on the 11th of February in front of the Brandenburger Tor as a symbol of peace and solidarity. Tickets: Online sales have ended, but tickets are still available at the door. Check all prices at the event’s website. Valentine’s Day is not for another couple of days but that does not mean that you cannot celebrate the holiday this weekend. The Valentine Dance Festival offers dance parties, workshops, boot camps and above all a change to get together with friends to dance the night away. The Valentine Dance Festival’s program features classes and workshops in salsa, kizomba, zouk brasilero and bachata. Dancers from all around the world attend the festival to teach you their dance moves. There are workshops and boot camps available on every level. From beginner to advanced. When: 10 February, 5 p.m. – 10 p.m. Some of the world’s best athletes will participate in different track and field events at the fourth edition of the ISTAF Indoor at the Mercedes-Benz Arena in Berlin this weekend. In the last two years the event, which is held at an arena that seats 12.650, was completely sold out. The indoor track and field event features competitions in sprinting, long jump, pole vault, hurdling and discus.